Polytechnique de Montréal has joined Engineers without borders Canada since 2002. 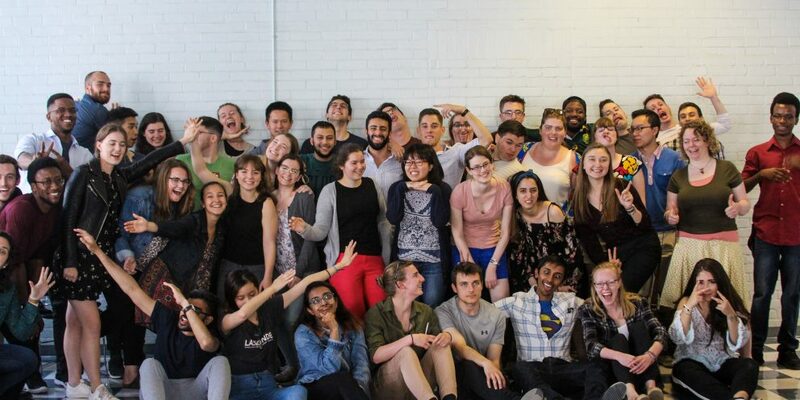 Over the years, this chapter has allowed dozens of students to apply their human values to EWB, through the organization’s activities in both Canada and international programs to solve problems by suggesting adequate solutions. Global Engineering Workshops given during ethic courses. Students learn about the subject, EWB and analyze case studies. This mapping workshop allows students to practice their approach to solving problems in complex systems and to reflect on the roles and responsibilities of an engineer in these contexts. Global Engineering Challenge, a competition between students to solve engineering issues. This challenge allows future engineers to realize the magnitude of the multidisciplinary aspects of their profession and consider all the actors who are affected, near or far. Students must define opportunities for positive systemic change in their industry as well as develop a prototype that increases and ensures the positive impact on society overall. The winner gets as a prize an internship interview. Retreats and National Congress. Retreats take place generally in summer to build a strong cohesion between EWB’s group members and create a space for planning various events. The national conference brings together the entire EWB Canada community Through four days of gathering. Various professionals from the field come to share their experience and several discussion groups and activities are created around different issues. The Junior Fellowship. Every year, the Polytechnique section allows an average of 2 students to complete an internship lasting 3 to 4 month in one of African initiatives of Engineers Without Borders Canada. The main goals of the internship are having an impact on oneself and in the African country (while doing the training and working during the placement) in addition to the impact in Canada (once the student returns back by sharing his experience). Kumvana program. This project consists of collaboration between Canadian entrepreneurs and African ones. Every year, fifteen ambitious African entrepreneurs are paired with EWB sections who schedule their journeys so that they meet Canadian personalities, business people and public figures. Fair trade week. The section gets involved in the improvement of the visibility and the appeal of “FAIR” certified products to the student community through informal forums and conferences. The week starts with tasting fair coffee and introducing other products such as fair makeup! Youth engagement / Water for the World Workshops. These workshops are dedicated to students in secondary school. It is a simulation of relationships between countries for sharing natural resources. The main activity is a construction of a filter in a competitive market context. Rich in emotions for the different teams, the following discussion allows among other things to address the theme of poverty in the world. Advocacy. The advocacy section of EWB Canada acts on relations with politicians, members of industry and members of civil society. It is therefore a tool that allows lasting changes to be made in industry and Canadian policies, for instance increasing Canada’s international leadership development budget. Back to school barbecue. It is about a recruitment activity in the beginning of the year. The EWB is introduced to students who discuss their interests with the section members. The application forms are completed by students willing to join Polytechnique chapter. Furthermore, our chapter is planning monthly cohesion activities between the members, such as potlucks, picnics and sports. Participating in the formation of engineers serving the global society. Committing Canadians to feel connected and contribute to the rest of the world. Advocacy for better Canadien policies. Polytechnique de Montréal chapter is an active one. There is a meeting each 2 weeks, the members discuss the past activities and the upcoming ones. They also give feedbacks and do debriefings to improve the impact of the chapter on the community. EWB allows you to develop many skills including teamwork, in-depth analysis, active communication and events organization. It also helps you enlarge your social network and get more contacts either in the university, in Canada or in other countries.